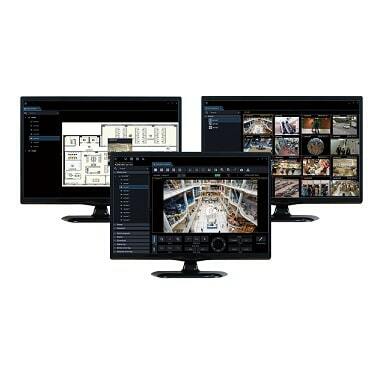 Easy setting : New WV-ASM300 software enable a whole setting from camera configuration to recorder configuration. Up to 100 recorders, 64 encoders and 256 directly connected cameras can be registered. Up to 6,400 cameras registered in the recorders and 256 cameras registered in the encoders are automatically registered in the WV-ASM300 (the number of the cameras depends on the recorder and encoder). When used with WJ-NX400 series, VMD, thumbnail search can be operated. Selecting the camera icon in map window, a still image of the camera is overlaid. Control using the Ethernet System Controller WV-CU950 * To use the multi-monitor function, it is necessary to install an additional video card on the PC in use.